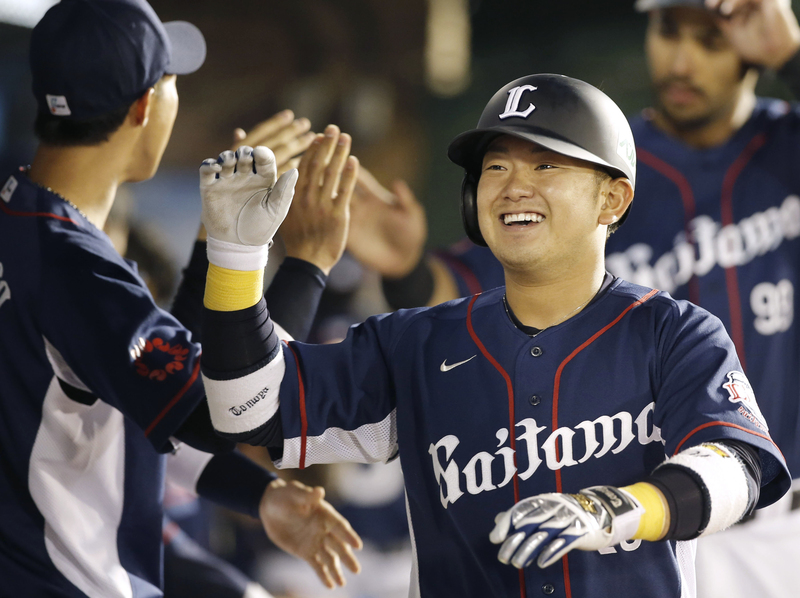 In his last nine games, Tomoya Mori, the Seibu Lions’ 19-year old sensation, has 14 hits (and at least one in nine straight contests), four home runs and has driven in seven runs. For the young season, he’s hitting .325 with seven home runs and 20 RBIs. That type of production makes it worth repeating that Mori is still a teenager, and will be for the majority of the season. He doesn’t turn 20 until Aug. 8. As an 18-year old going on 19 last season, Mori hit .275 with six homers and 15 RBIs in 41 games. Being this good this fast is to be on a trajectory that recently is most easily compared to Bryce Harper, the Washington Nationals phenom who similarly burst on the scene in 2012 as a 19-year-old in the majors and hit .270 with 22 homers and 59 RBIs his rookie year. That isn’t to say Mori is as good as Harper, because it’s way too early to go there, but it does suggest the Lions might have a real talent in their paws. One who can be a complement to hard-slugging Takeya Nakamura for seasons to come. Mori isn’t yet in his prime. He’s proving to be pretty good already, but even better results could be a few seasons down the road. He’s taken to the pro game faster than fellow Osaka Toin High School alums Sho Nakata and Ryosuke Hirata did, and Nakata, in his seventh season with the Hokkaido Nippon Ham Fighters, is one of NPB’s premier power hitters now, with 10th-year Chunichi Dragons outfielder Hirata only a few rungs down the ladder. Mori already seems to have the power. He’s second among NPB hitters with 12 doubles (most in the Pacific League) and a .587 slugging percentage, and only five players have more home runs. His isolated power (ISO) through 34 games (small sample size warning) is currently .262 — the PL average in 2014 was .122. Mori also had six home runs and a .300 ISO in 80 at-bats during his rookie year in 2014. The kid can already hit. Experience may simply bring about a better approach at the plate, and perhaps more discipline. He’s still swinging at the first pitch a little too often and has a itchy trigger finger on balls outside the zone. Time will calm his nerves, and he’ll get better at making adjustments, waiting for his pitch, not getting himself out and making pitchers work. When experience and guile catch up to talent, Mori might really become a force to be reckoned with. Some of that may depend on Seibu. Mori has been serving as the team’s designated hitter, but he’s a catcher by trade. Ginjiro Sumitani, the current Seibu backstop, has years of experience behind the plate, but doesn’t do much offensively. Plugging Mori’s bat into that spot in the lineup has to be just about irresistible. 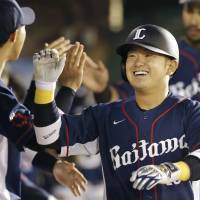 He may already be there if not for the Lions’ numerous other offensive weapons, and the way Sumitani is handling the pitching staff. Mori could begin getting some games behind the plate during the interleague portion of the schedule, but if he ever assumes the role full-time, the question becomes how much will the grind of catching detract from his offense? Kenji Johjima, now retired, and Shinnosuke Abe are two contemporary NPB players who were both premier hitters and above-average catchers, but those types of players have been few and far between lately in Japanese baseball. Perhaps Mori is the next in line. Or maybe the Lions push him to focus on hitting and spare him the grind of catching. Right now he’s a DH and showing enormous potential with every game. Mori looks like one of the best young offensive players in Japan right now. He’s hitting for average, he’s hitting for power, and there’s a chance he’ll be knocking the cover off the ball in the near future.